How to set up Multi-language for your Mobile App? Multi language feature supports Langify App. 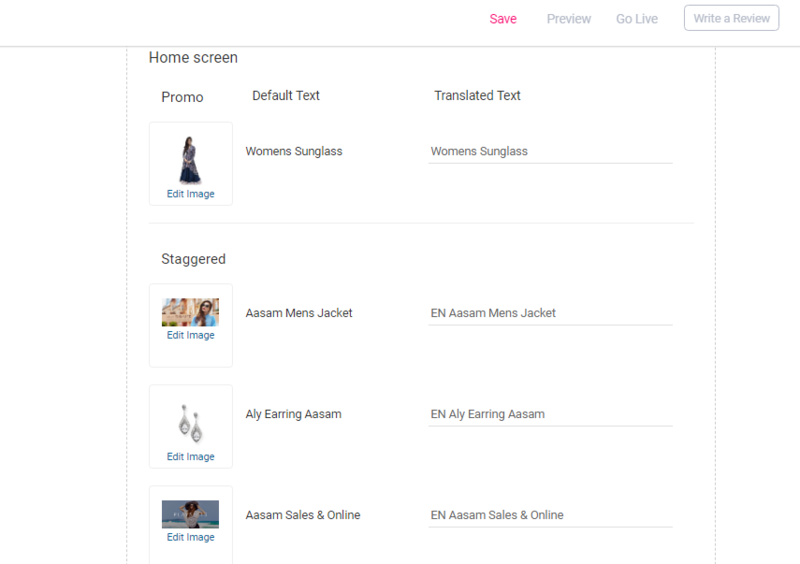 We will fetch the products, variants, collections, product type and product description translation from Langify but you will have to translate the mobile app content as well. Enabling this feature requires an app update on Play Store & App Store. This feature is still in a Beta phase. This feature is available for Enterprise plan customers only. Login to the PlobalApps dashboard. 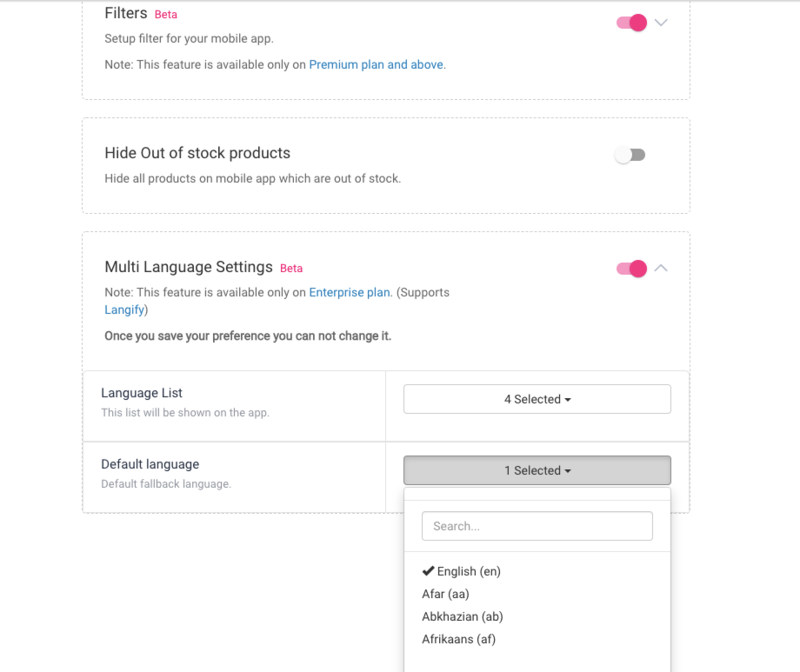 Go to Advanced Settings & select all the languages you wish to add on the app. Please select the languages carefully as you won't able to make any changes later. 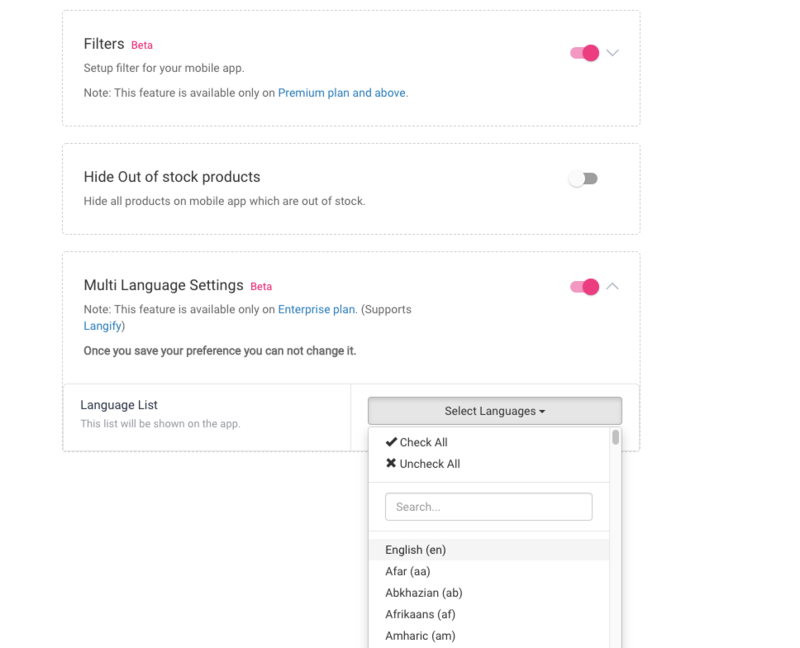 Also, select the default language of your app which customers will see when they download the app for the first time. 4. Now, go to App Language to translate the Mobile App text. 5. There are two sections on the dashboard, Dynamic & Static changes. Dynamic changes will be updated real-time & the Static changes will require an app update. 7. Once all the changes are made, please click on SAVE & then Go Live button. Please note - Please restart the app 1-2 times for dynamic changes to reflect on the app. Please email at support@plobalapps.com for any queries.